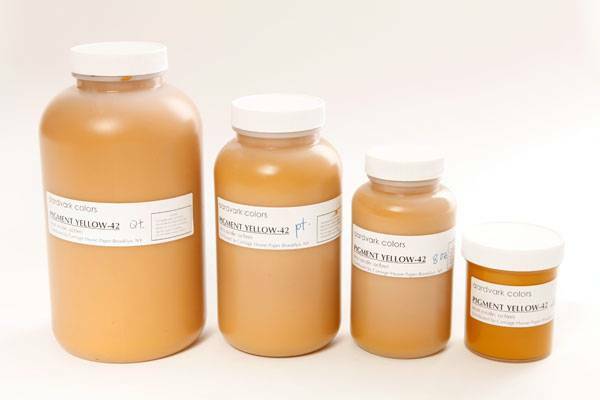 Pigment Yellow-42 is a water dispersed pigment , exceptionally lightfast, yields an ochre color, and is formulated specifically for the coloring of paper pulp. It is easy to use and requires no rinsing; directions included. To ensure maximum color intensity and proper adhesion to the pulp, a retention agent must be added to the pulp before the pigment is applied. Our pigments are supplied by volume sizes. The actual weight varies, depending upon the density of the pigment, and this pigment is very dense.